Superheroes versus villains, good versus evil. 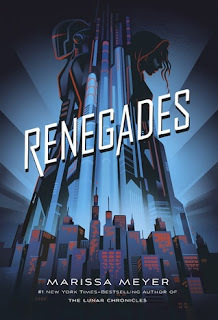 It's a tale we're all familiar with and one that Marissa Meyer's tackles in her new series Renegades. The world has a dystopian feel to it as she describes a time when society was run by Anarchists, villains who used their powers tyrannically, and then the Renegades came forward to save the day and used their abilities to overthrow them to restore peace and justice. Cut to the present where Renegades are leaders who maintain order and symbolize hope for the people while Anarchists are exiled and closely monitored. 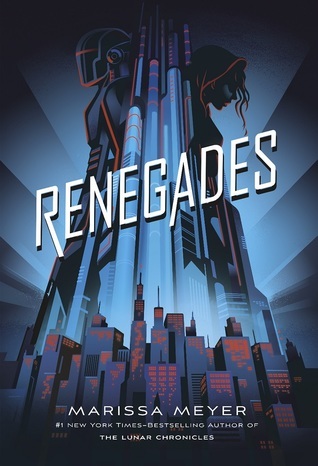 But that story isn't so black and white for Nova, an Anarchist who has her reasons for hating the Renegades and wanting revenge. When she crosses paths with Adrian, a young member of the Renegades and genuinely good guy, she can't help but feel conflicted between the friendship (and more) he offers her and the hatred she's felt for years. I think the middle area of seeing good in the "bad guys" and even "bad" in the good guys is so, so interesting and Meyer definitely plays that up here. Where I personally found some missteps were in the character development and pacing. I really liked both Nova and Adrian but I never felt a strong connection to either. I thought certain feelings happened pretty quickly (or predictably) and felt that could've been drawn out more, whereas the actual action or pacing dragged at times. The book certainly didn't need to be 500+ pages to make the story compelling. Do I recommend? If you love superhero stories and Marissa Meyer, you'll want to check this out. Overall, I thought it was a good start to her series but I will say I didn't get that "omg I need the next book right now" feeling when I reached the end. 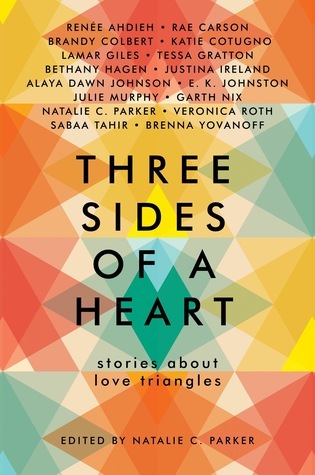 So I'm generally one of those readers who generally isn't a fan of love triangles but will be fine with it when done right and a lot of the stories in this anthology certainly get it right. (I'm looking at you Katie Cotugno). Some didn't click with me though (which I admit I ended up skipping!) but I want to talk about the ones that did. 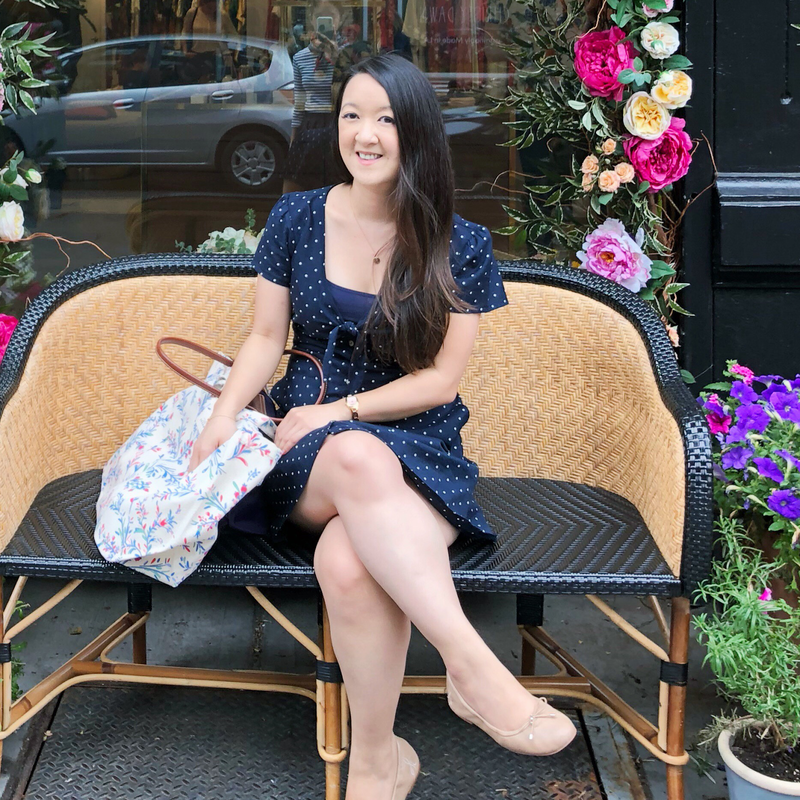 Riddles in Mathematics by Katie Cotugno | A contemporary story with one heck of a messy love triangle that is really sweet and brings all the feels. 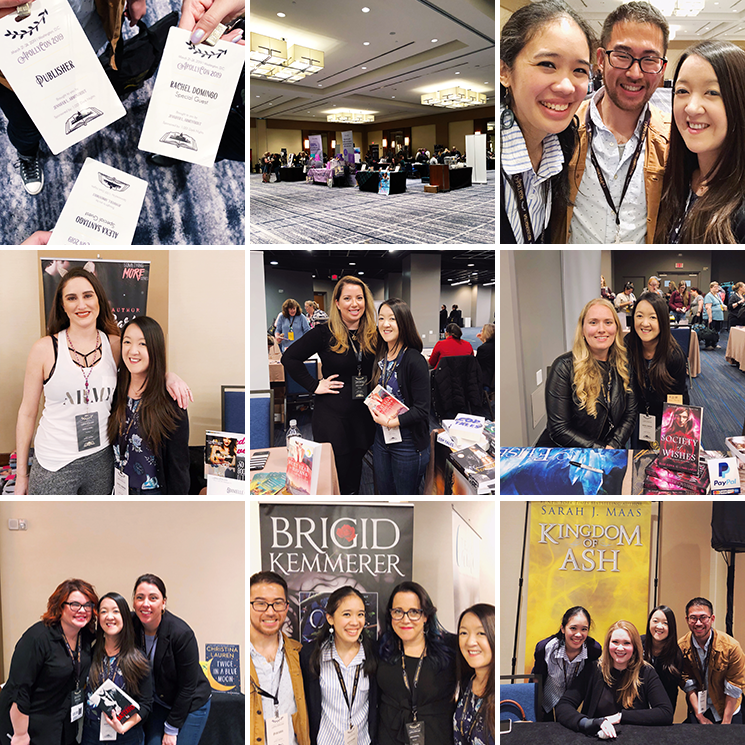 Omega Ship by Rae Carson | A sci-fi story that uses the "we need to save humanity trope" but it's the unexpected feminist twists that made it stand out. La Revancha del Tango by Renee Ahdieh | Travel, salsa and bickering-to-banter relationships. Need I say more? Waiting by Sabaa Tahir | Of all the stories, this is the one that made me wish it could be turned into a full-fledged novel. And that's in spite of my ship not sailing! Do I recommend? I do! Even if you're not into anthologies or even love triangles, I think these stories are definitely worth checking out. 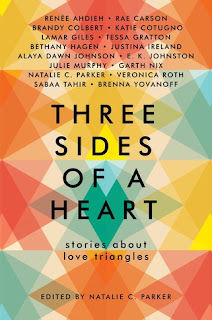 Three Sides Of A Heart sounds interesting, generally I am not into love triangles but in the right hands I guess they could be good.